We are dedicated advisers whose job is to see you from listing through close, helping you walk away with top market value for your business. 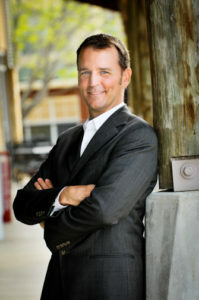 The founder of DeHaas Consulting, Kyle DeHaas, has been in Austin since 1988, involved in business valuation since 2006 and franchise consulting since 2010, with dozens of successful business transactions completed. DeHaas Consulting is an expression of Kyle’s passion for helping people be the best business owners they can be, as well as help entrepreneurs realize the value of what they’ve built. Assessment: We will understand the value you have created in your business and then develop a market focused presentation to best sell that value. Let us help you look the most attractive to the M&A market. Market: We will confidentially market your business in multiple channels, including through our network of qualified buyers developed over decades of doing business. In addition to networking, we will place ads. Close: Our staff has been closing deals since 2010. We will help with the due diligence to create the exit event you want. – Carefully consider the decision to buy a business. – Educate yourself on the type of business you would like to buy and determine whether you would be better suited for an independently-owned business or franchise. – Conduct research on options of businesses currently for sale. – Determine how much money you can afford to pay. – Contact and consult with a DeHaas Consulting business consultant on your goals and criteria. – Evaluate the businesses that are being offered for sale. – Confidentially tour the businesses you are interest in, note improvements or changes that you would make, location and “feel” of the business. – Through your DeHaas Consulting business consultant, place a bid on the business in which you are interested. – Engage in negotiations with the seller through your business consultant. – Once an agreement has been reached, your business consultant will walk you through the details of finalizing a sale. Details include negotiations, new owner financing, complete documentation for the purchase and closing the purchase.